Charter Hall Group has grown, since its launch in 1991, to become one of Australia’s leading property groups, with a total managed property portfolio of $20.4 billion. They own and manage 329 commercial properties around Australia, including office buildings, supermarket anchored retail centres, and a rapidly growing stable of industrial assets, on behalf of institutional, wholesale and retail investors. Their integrated business model, coupled with a highly skilled and motivated team across investment management, asset management, property management, and project delivery produces sustainable returns for their investors, and positive experiences for tenants and the community. As a Group, Charter Hall was listed on the Australian Securities Exchange (ASX) in 2005 under ASX Code: CHC. 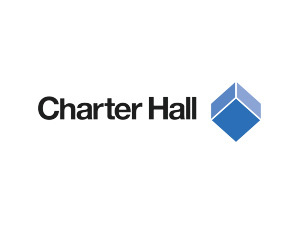 Charter Hall Group is a stapled security comprising a share in Charter Hall Limited (CHL), the operating business, and a unit in Charter Hall Property Trust (CHPT), which predominantly co-invests in the funds and partnerships the Group manages.